A “fascinating, encyclopedic history…of greater New York City through an ecological lens” (Publishers Weekly, starred review)—the sweeping story of one of the most man-made spots on earth. Gotham Unbound recounts the four-century history of how hundreds of square miles of open marshlands became home to six percent of the nation’s population. Ted Steinberg brings a vanished New York back to vivid, rich life. You will see the metropolitan area anew, not just as a dense urban goliath but as an estuary once home to miles of oyster reefs, wolves, whales, and blueberry bogs. That world gave way to an onslaught managed by thousands, from Governor John Montgomerie, who turned water into land, and John Randel, who imposed a grid on Manhattan, to Robert Moses, Charles Urstadt, Donald Trump, and Michael Bloomberg. “Weighty and wonderful…Resting on a sturdy foundation of research and imagination, Steinberg’s volume begins with Henry Hudson’s arrival aboard the Half Moon in 1609 and ends with another transformative event—Hurricane Sandy in 2012” (The Plain Dealer, Cleveland). This book is a powerful account of the relentless development that New Yorkers wrought as they plunged headfirst into the floodplain and transformed untold amounts of salt marsh and shellfish beds into a land jam-packed with people, asphalt, and steel, and the reeds and gulls that thrive among them. With metropolitan areas across the globe on a collision course with rising seas, Gotham Unbound helps explain how one of the most important cities in the world has ended up in such a perilous situation. “Steinberg challenges the conventional arguments that geography is destiny….And he makes the strong case that for all the ecological advantages of urban living, hyperdensity by itself is not necessarily a sound environmental strategy” (The New York Times). This book is about the struggle between New York and the natural world. At its core, the story is about how, over centuries, people have come to understand, define, and ultimately transform New York’s land, water, and its plant and animal life. The metropolitan area assumed its current shape by way of a set of contingent decisions. Which is precisely why we want to study its history: to understand how ecological change has made New York what it is today, while acknowledging that, present concerns aside, the past has a logic all its own. The struggle at the center of this story has been overwhelmingly one-sided; a man-bites-dog story, if you will. To cite just one measure, between 1900 and 2010, development had whittled down Staten Island’s monumental 5,099 acres of marsh—wildlands more than a third the size of all Manhattan, filled with night herons, belted kingfishers, dragonflies, and snails—to a fractional existence the size of a mere city park (865 acres).3 Part of the story, too, is that sometimes the dog bit back. Hence, my argument is not that geography is destiny but, in a sense, the reverse. A dense city evolved in the Hudson estuary largely because of the trust in constant population and economic growth—New York’s destiny as articulated by those who have run it. Gotham Unbound forgoes the tidy political watersheds that have defined the study of this great city and emphasizes a new set of turning points. Not simply the shift from Dutch to English rule, but the market in underwater land is what concerns me in Part 1. This was a development that not only betrayed the colonists’ approach to the natural world but also set the stage for the far more massive efforts to reshape the region and profit off the land that came later. Part 2 places considerable emphasis on the 1811 grid plan, which was indeed a major change that built on the earlier underwater history of Manhattan Island while laying the groundwork for the high-density living that would come to define the region. Altogether, the grid, the development of an off-island water supply, and other trends associated with the quest for limitless growth combined to cause the most radical alteration of the waters of New York Harbor in recorded history. What the transformation of the harbor was to the nineteenth century, the makeover of wetlands was to the hundred years that followed. Once marshlands dominated the waterfront from Long Island on the east to the Hackensack Meadowlands on the west—little more than wind blowing across these sweeping expanses of grass. Probing the fate of the marshlands in the shadow of one of the densest urban agglomerations in the world is the subject of Part 3. Then the fourth and final part explores the period since 1960 as the environmental movement began to blossom. It focuses on the limits to growth in a metropolis long defined by rampant development and ends with Hurricane Sandy. 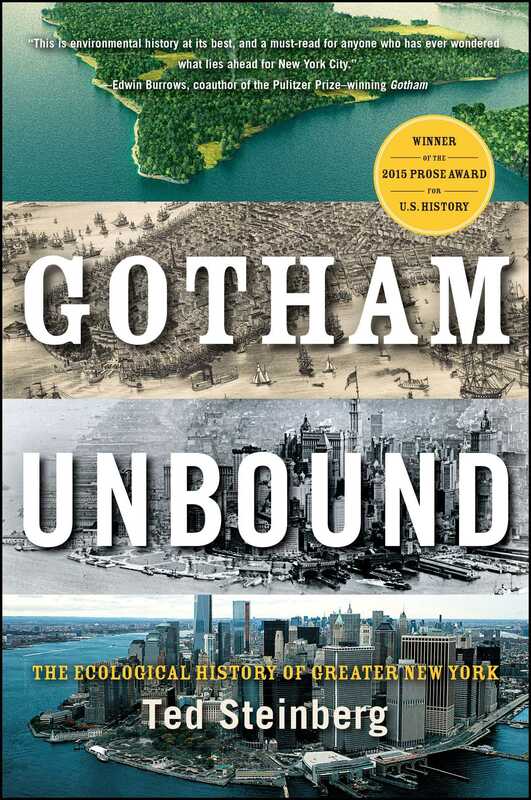 In sum, Gotham Unbound tells the story of New York over the last four centuries from the ground up, a vantage point that reveals a world of change and dislocation that is otherwise difficult to discern. Rather than offer a comprehensive portrait of all that has happened across this vast terra infirma, I aim instead to simply make New York a less familiar proposition—to show that there is much still to know and understand about a place that many think they know so well. Put somewhat differently, without the changes described in this study, Fresh Kills today would be a wetland and not a mountain chain. Without them, people might be fishing the pond in lower Manhattan or donning waders to walk along the aptly named Water Street. Flushing Meadows would be a meadow instead of the city’s largest lake, Coney Island a real island, and the Meadowlands a place people think of for its snapping turtles and the whistling call of osprey, not for its football or harness racing. So I am not contending that the Big Apple has the biggest ecological problems in the world.12 My focus instead is on relationships: on the link between new ways of understanding land, especially underwater land, and the changing geography of the city; on the transcendence of the local water supply and the decline in marine life; on the rise of a vision of New York as an infinite proposition and the quest to encroach on the sea; on the relationship between the overproduction of waste and the making of urban mountains; and of course on the link between the present shape of the metropolitan area and the past. An ecological history of New York can help us see that it is wrong to take the city for granted but right to question how the landscape we see driving along the Belt Parkway or strolling along the Hudson River came to be. These connections are important to recognize because it seems fair to say, as at least one writer has, that today comparatively few New Yorkers realize that they are living in the estuary of the Hudson River.13 This lack of knowledge is perhaps understandable in a place known to many as a concrete jungle. Why would contemporary New Yorkers think of themselves as residents in an environment where river and ocean meet when so much of that environment—its smooth cordgrass, fiddler crabs, marsh hens—has been overshadowed by monumental building exploits? And yet there is nothing natural or inevitable about the lapse. Understanding the forces that have made New York what it is will not only place the city in a new light. It will illuminate how this estrangement from the natural world came about. An ecological history has the potential to reconnect people not just with the past but also with the natural environment as it exists today. "Steinberg accessibly traces the harbor’s natural history from the booming colonial market in underwater (literally) property and the prescient Manhattan grid plan, both of which fueled development, to the lessons delivered by Hurricane Sandy.... [Steinberg] challenges the conventional arguments that geography is destiny and that New York is an “infinite proposition” — a perpetually renewable resource. And he makes the strong case that for all the ecological advantages of urban living, hyperdensity by itself is not necessarily a sound environmental strategy." "How did the lush ecosystems of the lower Hudson Valley become one of the world’s premier urban centers, dedicated to the illusion that it could somehow transcend the constraints of the natural world? Ted Steinberg’s explanation in Gotham Unbound is erudite, wise, unfailingly readable—and alarming as hell. This is environmental history at its best, and a must-read for anyone who has ever wondered what lies ahead for New York City." "Magnificently demonstrated in this unique, highly revealing history of Greater New York, prize-winning author Ted Steinberg is a pioneer in the field of ecological history. 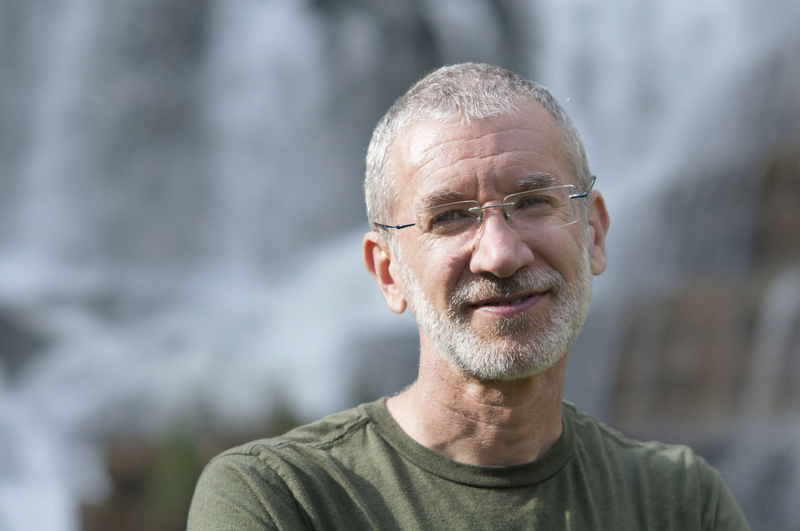 From Henry Hudson's magical discoveries in 1609 to Hurricane Sandy's rampant destruction, Steinberg narrates four centuries of never-ending landed fill-ins, destruction of estuaries, and building. Every page about this eastern landed frontier reveals the world's leading city from a fresh, crucially important perspective." "This is the best history of an American city I have read—stunningly original, brilliant in research and argument, delightful to read, and vital for our urban future. Whatever New Yorkers may have achieved in the accumulation of wealth or social wellbeing, they have written a tragic story in ecological terms. Henceforth we will not be able to think of the city without also thinking of it as one of the world’s most damaged estuaries and of the teeming diversity of plant and animal life that once lived here." "Gotham Unbound goes deeper than underground history; it is underwater history! Steinberg shows how the development of Manhattan's waterways and lands -- often out of sight -- shaped the creation of today's New York City. He reminds us that unnatural cities stubbornly remain part of the natural world -- and that world has a history. To really understand New York City, leave Wall Street behind, put on your hip-waders, and jump in the bog." "Steinberg brings to the center of New York's history what nowadays we mostly see only at its edges: the sea breezes and river currents, the creatures that swarm under and the ships that sail over the harbor's waters - waters on which the city's inhabitants have advanced with waste and fill for centuries. Even the trim outlines of Manhattan island represent the boundaries of aggressive settlement, as human New Yorkers, like successful Canutes, have pushed back the tides. Steinberg's story shows how literally the city is the product of ambition and invention, its very shorelines the result of commercial desires. Lively, deeply researched, and well told, a pleasure to read and cogitate upon." "Ted Steinberg has written a historical masterpiece-- a remarkably original and superbly crafted book about the relentless making and unmaking of the landscape of America’s greatest, most protean city. Gotham Unbound will enlighten anyone who cares about the past and future of New York." "The story of how the wild and woodsy Isle of Manhatta in 1609 became the hyperdense city of today. In the centuries-long war between New York and nature, nature lost virtually every battle—but then suddenly, in 2012, Hurricane Sandy exposed the dangers of denial. Ted Steinberg has written a magnificent book that transforms our understanding not just of New York City but of the future that faces all of us." "Gotham Unbound is much more than a brilliant book about a great city. I am awed by Ted Steinberg’s ability to make so sprawling a story into a powerful parable about the challenge – and the ultimate folly – of aspiring to limitless growth." “Like each of his earlier books, Steinberg's Gotham Unbound is a revelation: in this case of the water world that New York once was and thanks to global warming may yet become again." “What happens when one of America’s great environmental historians studies one of America’s great cities? The result, revealed in the pages of Gotham Unbound, bursts with as many fascinating characters and unforgettable stories as Manhattan itself." "The great American city now has a fresh, insightful history that will open readers’ eyes to the ongoing role of nature in an evolving metropolis. It’s a grand account, epic in scope and full of amazing revelations. Give this book to anyone who cares about environmental and urban studies and keep a copy for yourself." "Describing an island estuary that became one of the world’s most densely populated cities, this fascinating, encyclopedic history views three centuries of continuous transformation of greater New York City through an ecological lens." "Richly researched and illustrated—a wholly edifying account."